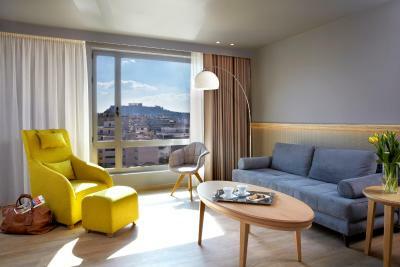 Lock in a great price for Wyndham Grand Athens – rated 8.4 by recent guests! Loved the view from breakfast and restaurant. Staff was super helpful. They were running a promotion for 15 minute free massage in the spa and the masseuses were excellent. 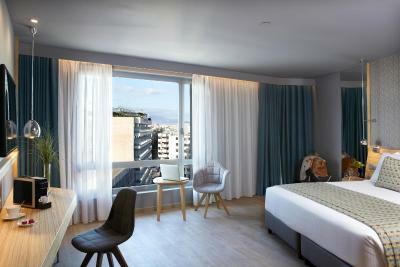 Very clean, amazing view of the Acropolis (couldn't get enough of it), nice staff, especially Yiannis who was very nice and helped me get an upgrade to my room at a very good price. 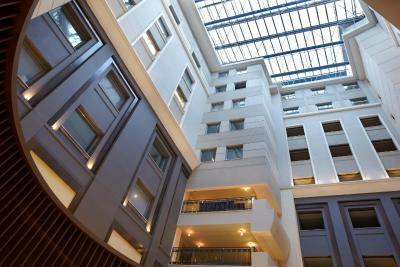 Very good location, the hotel is at walking distance from all the important sightseeing spots. Everything. We returned back to Athens after our 6 days trip if rest of Greece. 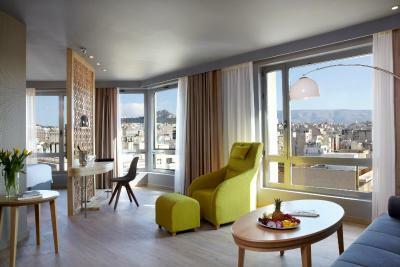 We had a Junior suite with city view booked. But upon request hotel upgraded us to Executive suite at the highest floor. It was a room to stay at and if given a chance I would definitely repeat my stay here. Everything. Location was right next to the Athens tour bus stands. Enough local restaurants all around the hotel. Hotel room was very clean. Beds were very comfortable. 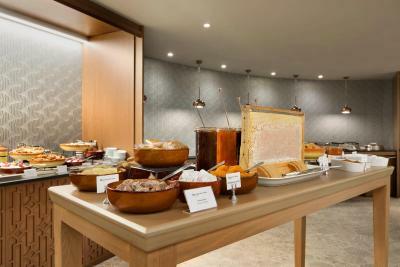 Breakfast was sumptuous and tasty. Best part of the hotel was the room we got. Hotel staff was generous enough to upgrade us from Junior suite to Executive suite. 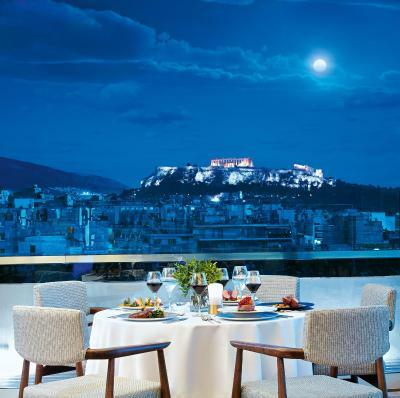 We got a corner room from where we enjoyed the best part of city view overlooking the mountains from the bedroom and the acropolis view from the living room which looked fabulous at night with it's lights lit. Rooms were very spacious allowing my kid to run around and play with toys. Tom had enough electric points located at convenient spots to allow charging tons of devices that I was carrying. Lastly, Jacuzzi in the tub added to the comfort that my wife and I enjoyed using. Very great room and comfortable bed, we got upgrade room to be Acropolis view with separate living room. Wifi is very very fast and stable, great amenities and breakfast are plenty of choice, near metro station but have to cross the road to access. Good views and also liked the location, the area has charm. The location. The metro is 2 min walking distance and from there you can go anywhere. It was so clean. Good breakfast. Friendly staff. The room is clean and the food is abundant and good. Location is perfect. 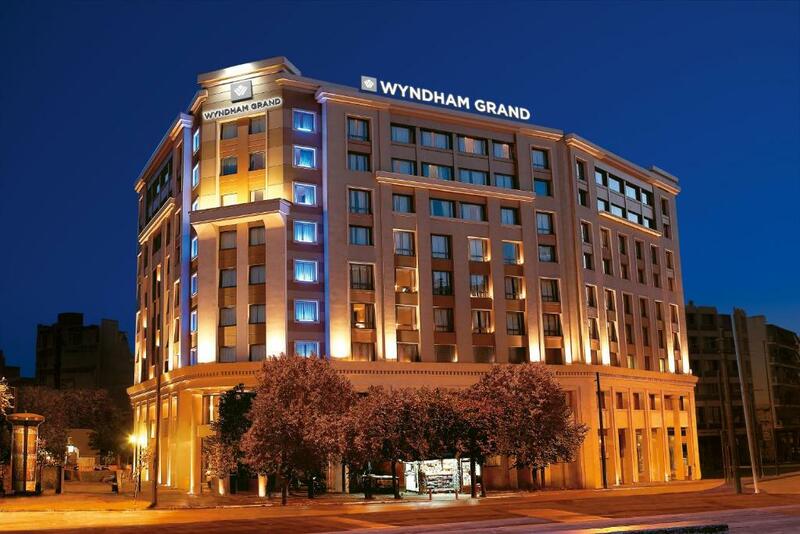 Wyndham Grand Athens This rating is a reflection of how the property compares to the industry standard when it comes to price, facilities and services available. It's based on a self-evaluation by the property. Use this rating to help choose your stay! 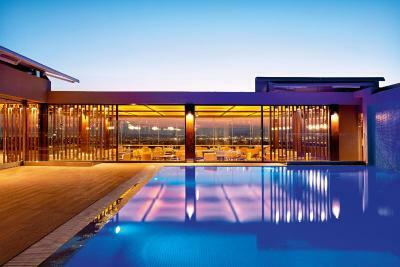 One of our top picks in Athens.Just steps from Metaxourgeio Metro Station, the modern Wyndham Grand Athens features a rooftop outdoor pool and bar-restaurant with panoramic views over the Acropolis, Lycabettus Hill and the Saronic Gulf. 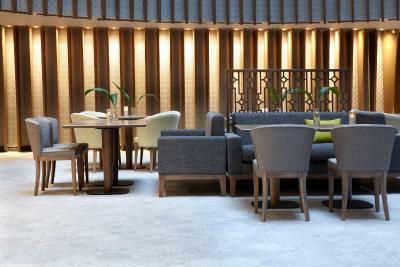 Guests can pamper themselves at the spa center, stay fit at the fully equipped gym or enjoy a drink at the all-day lounge bar. Free WiFi is available in all areas. 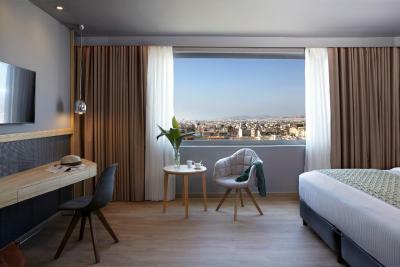 The elegantly decorated rooms and suites at Wyndham Grand Athens are equipped with air conditioning, 43'' LCD TV, direct dial phone, mini bar and espresso coffee maker. 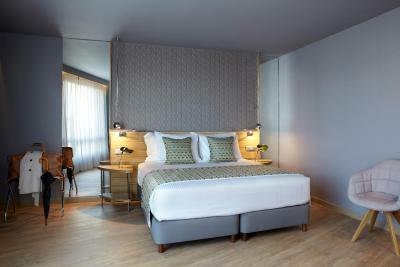 Each includes a modern bathroom stocked with branded amenities, hairdryer, bathrobes and slippers. 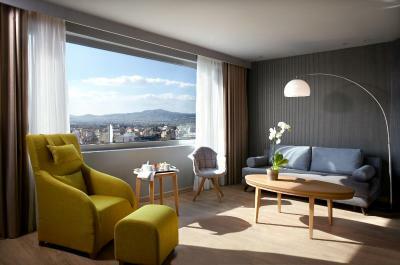 Some units offers views over the city of Athens or the Acropolis. Room service is available 24/7. 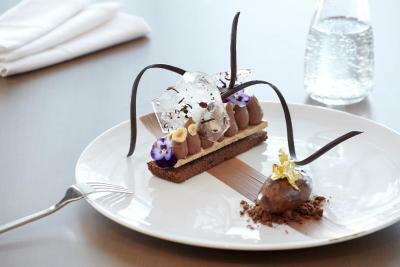 Guests can taste Mediterranean and International gourmet dishes accompanied by signature cocktails at the rooftop restaurant for lunch or dinner. 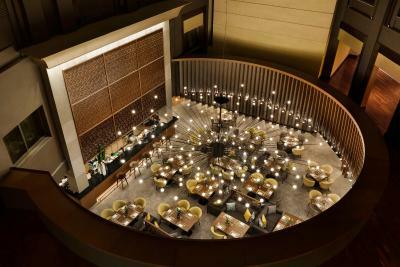 A sushi bar is also featured on the rooftop. 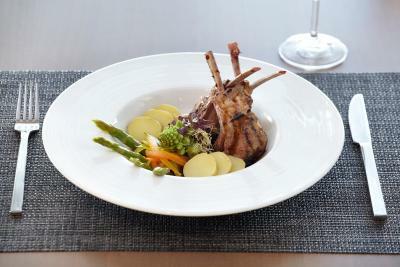 Special diet menus can be prepared upon request, while in-room dining is also available. 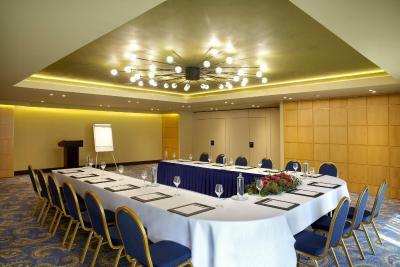 Extra facilities include 14 multifunctional meeting rooms that can host up to 2000 guests. 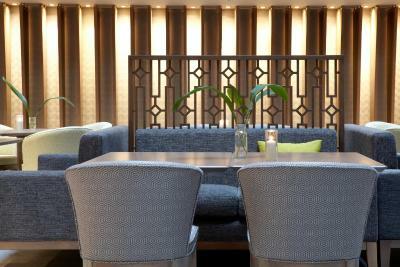 Luggage storage, express check-in, concierge service and a 24-hour front desk are provided. 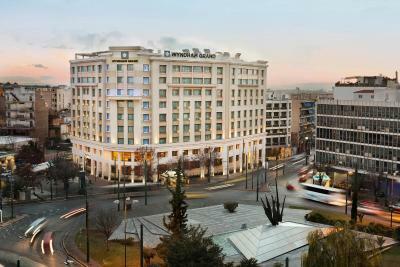 Omonia Square is 1,950 feet from Wyndham Grand Athens, while Ermou Shopping Street is 0.6 mi from the property. 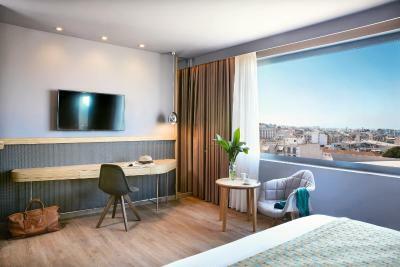 The nearest airport is Elefthérios Venizélos Airport, 22 mi from Wyndham Grand Athens. When would you like to stay at Wyndham Grand Athens? Fitted with pillow-top mattresses and Egyptian linens, this room includes air conditioning, 43'' LCD TV, direct dial phone, mini bar and espresso coffee maker. The modern bathroom is stocked with branded amenities, hairdryer, bathrobes and slippers. Free WiFi is available. Fitted with pillow-top mattresses and Egyptian linens, this room offers city views. It includes air conditioning, 43'' LCD TV, direct dial phone, mini bar and espresso coffee maker. The modern bathroom is stocked with branded amenities, hairdryer, bathrobes and slippers. Free WiFi is available. 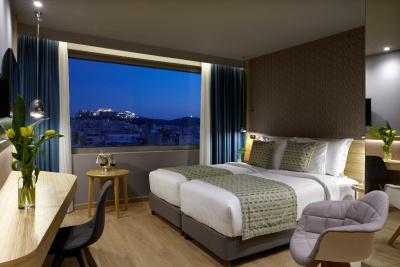 Fitted with pillow-top mattresses and Egyptian linens, this room offers views over the Acropolis. 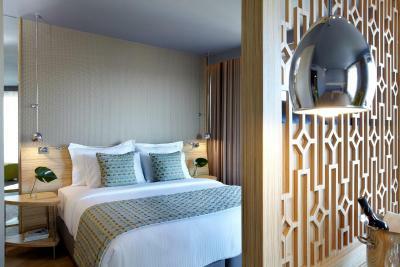 It includes air conditioning, 43'' LCD TV, direct dial phone, mini bar and espresso coffee maker. The modern bathroom is stocked with branded amenities, hairdryer, bathrobes and slippers. Free WiFi is available. 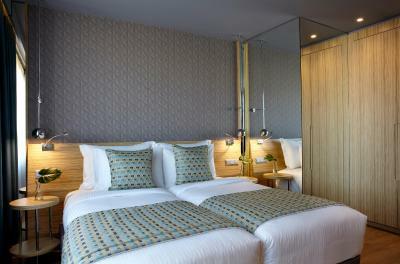 Offering city views, this junior suite has a king-size bed, pillow-top mattresses and Egyptian linen. 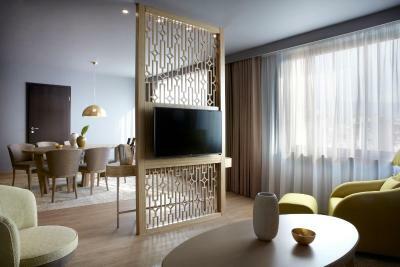 It includes air conditioning, 43'' LCD TV, direct dial phone, mini bar and espresso coffee maker. The modern bathroom is stocked with branded amenities, hairdryer, bathrobes and slippers. Free WiFi is available. 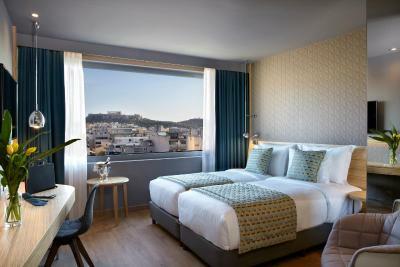 Offering views over the Acropolis, this junior suite has a king-size bed, pillow-top mattresses and Egyptian linen. 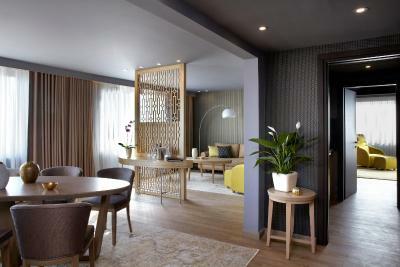 It includes air conditioning, 43'' LCD TV, direct dial phone, mini bar and espresso coffee maker. 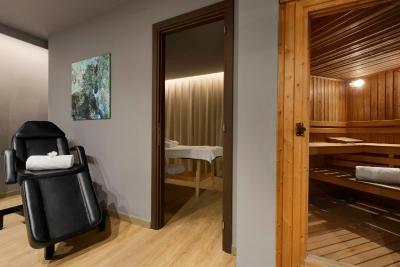 The modern bathroom is stocked with branded amenities, hairdryer, bathrobes and slippers. Free WiFi is available. 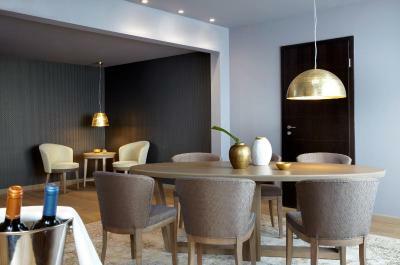 Offering city views, this executive suite has a king-size bed, pillow-top mattresses and Egyptian linen. 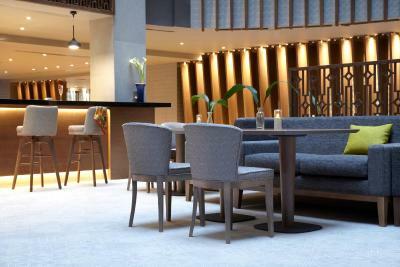 It includes air conditioning, 43'' LCD TV, direct dial phone, mini bar and espresso coffee maker. 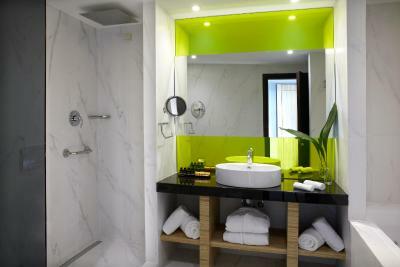 The modern bathroom has a spa bath and is stocked with branded amenities, hairdryer, bathrobes and slippers. Free WiFi is available. 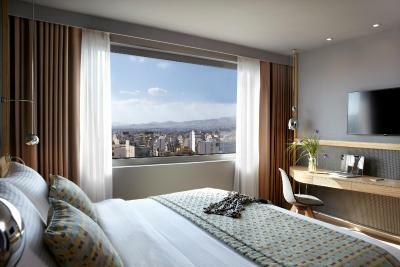 Offering views over the Acropolis, this executive suite has a king-size bed, pillow-top mattresses and Egyptian linen. 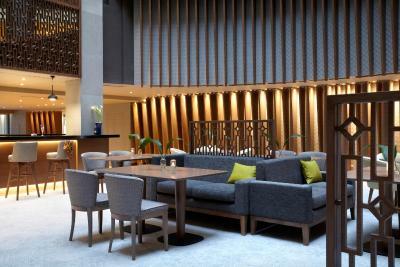 It includes air conditioning, 43'' LCD TV, direct dial phone, mini bar and espresso coffee maker. 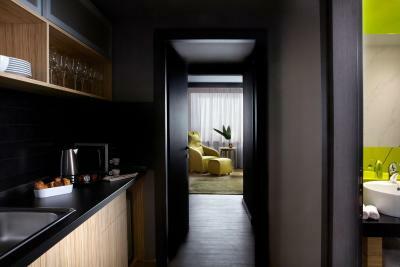 The modern bathroom has a spa bath and is stocked with branded amenities, hairdryer, bathrobes and slippers. Free WiFi is available. 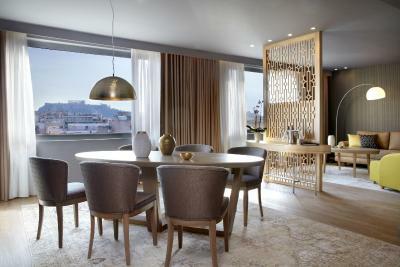 Located on the 7th floor, this suite offers panoramic views over the Acropolis and the city of Athens. It has a spacious living room with a meeting table, a master bedroom and 2 bathrooms, one with a bathtub and one with spa bath. 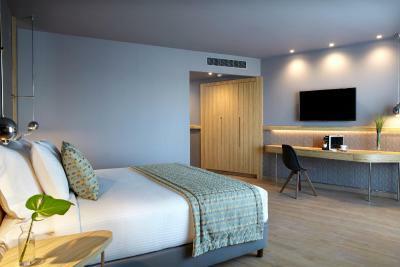 It includes air conditioning, 43'' LCD TV, direct dial phone, mini bar and espresso coffee maker. Free WiFi is available. 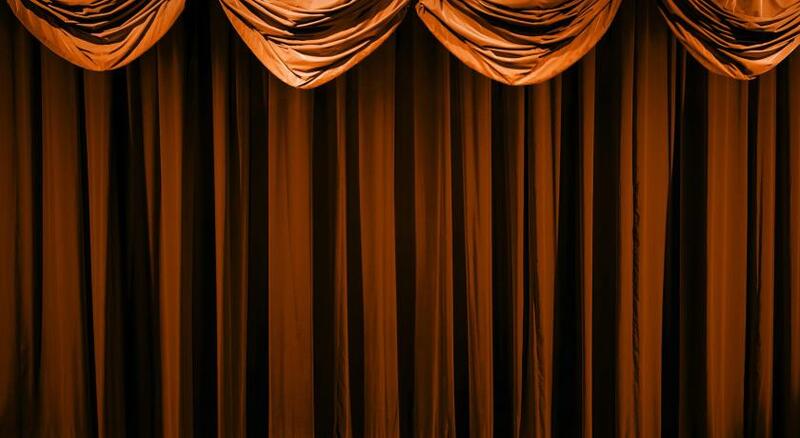 House Rules Wyndham Grand Athens takes special requests – add in the next step! 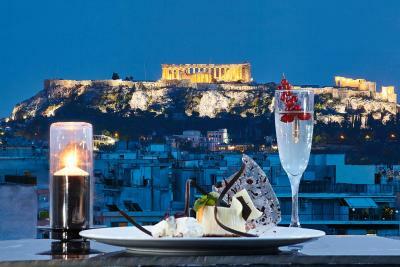 Wyndham Grand Athens accepts these cards and reserves the right to temporarily hold an amount prior to arrival. Kindly note that the outdoor, seasonal pool operates from 1 May to 31 October, weather permitting. 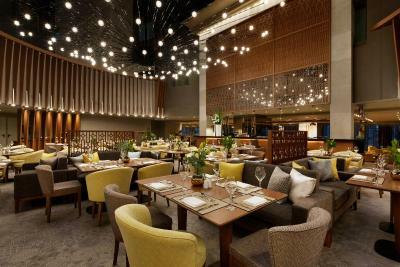 Please note that guests must present upon check-in the credit card used for the reservation. Some of the reviews say the location isn't the best since it is near refugee settlements but my friend and I didn't even notice. We were mostly travelling by the metro station right by the hotel or by taxi so the location didn't impact us and seemed to be fine. (2 30yo females). 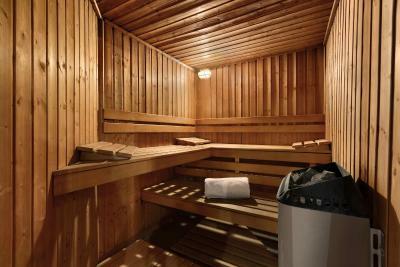 It's not a 5-star as it is rated on booking.com There is not a hot tub, sauna, pool that would match a 5-star property. The room was very cozy and clean! It took ages to get checked in. Room was not clean. Receptionists were rude. Great view from the rooftop bar/restaurant. Bell boys were nice. 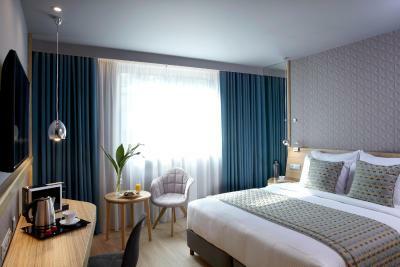 Spacious rooms and comfy beds. 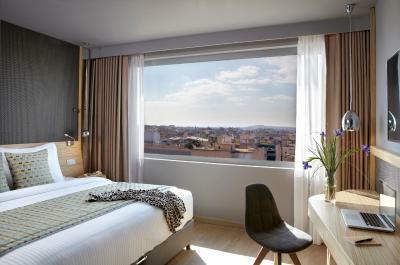 Clean and modern hotel with an amazing view of the Acropolis from the rooftop restaurant. Good value for money. 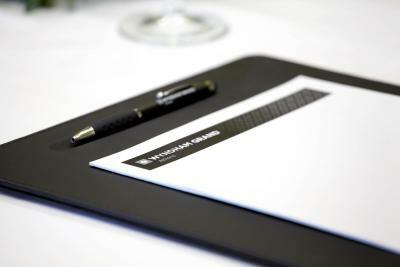 Welcoming and professional staff. 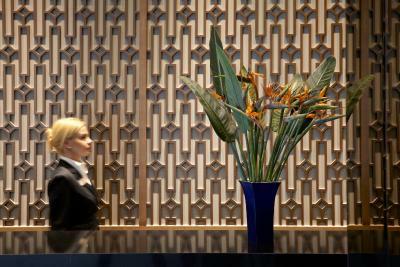 Convenient parking facilities with valet service. I wanted to get a coffee at the bar around 10:00, but there was nobody there. Hotel at this level must replace is hand soap to one of better brand and not the white and the regular every hotel use.